Love guru Matthew Taylor (Shemar Moore) is the author of the new best seller, "The Bounce Back." Accompanied by his enterprising business manager, Terry (Bill Bellamy), he's been hawking the self-help book on plenty of TV and radio programs. Since Terry believes that "Image is everything," he's concerned that Matthew hasn't settled down since his divorce. 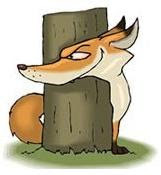 "A relationship guru should be in a relationship for longer than a minute," he counsels his BFF/boss. That sentiment is echoed by Matthew's teenage daughter, Aleya (Nadja Alaya), who says, "Dad, you really need to get a girlfriend." Nevertheless, her father tends to settle for one-night stands, like the one he recently shared with Lizette (Marta Cross), the makeup artist at a TV station where he'd just appeared. Matthew finally meets his match, literally and figuratively, the day he crosses paths with Kristin Peralta (Nadine Velazquez), a fellow therapist also making the rounds on the talk show circuit. Trouble is, while there's evidently chemistry between the two, they have conflicting adivce to offer folks nursing wounds from a painful relationship. Matthew's simplistic suggestion is to "Get out of your head and into action." By contrast, Kristin doesn't think the solution is quite that easy. She says, "Therapy's a marathon, not a sprint." After all, she's still recovering from having her heart broken over six years ago. Consequently, she views Matthew as a charlatan exploiting the vulnerable. And she tells him so to his face, snarling, "Quick fixes like yours are always a scam, whether it's a book, a pill or a seminar." Confrontation makes for great TV drama and, soon enough, the two therapists find their services in demand to debate their contradictory philosophies head-to-head. However, the more time they subsequently spend together making personal appearances, the more the feelings between them have a chance to develop. But can a relationship survive on chemistry alone? That is the pivotal question posed by The Bounce Back, a delightful romantic romp directed by Youssef Delara (Filly Brown). The movie is most reminiscent of Think Like a Man, another urban-oriented soap opera revolving around the battle-of-the-sexes. 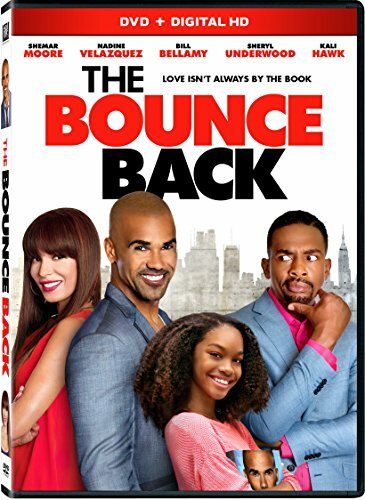 Nevertheless, this novel contribution to the genre stands on its own and thus warrants recommending, between a solid script with a couple of cleverly-concealed plot twists, and a plethora of praiseworthy performances on the part of a talented cast topped by Shemar Moore, Nadine Velazquez, Kali Hawk, Sheryl Underwood and the versatile veteran, Bill Bellamy.